Yes, Semisonic helped etch the etiquette of bar closing-time procedures into our minds for decades after its 1998 release, but there’s a new king in the realm of the last call. The culprit? 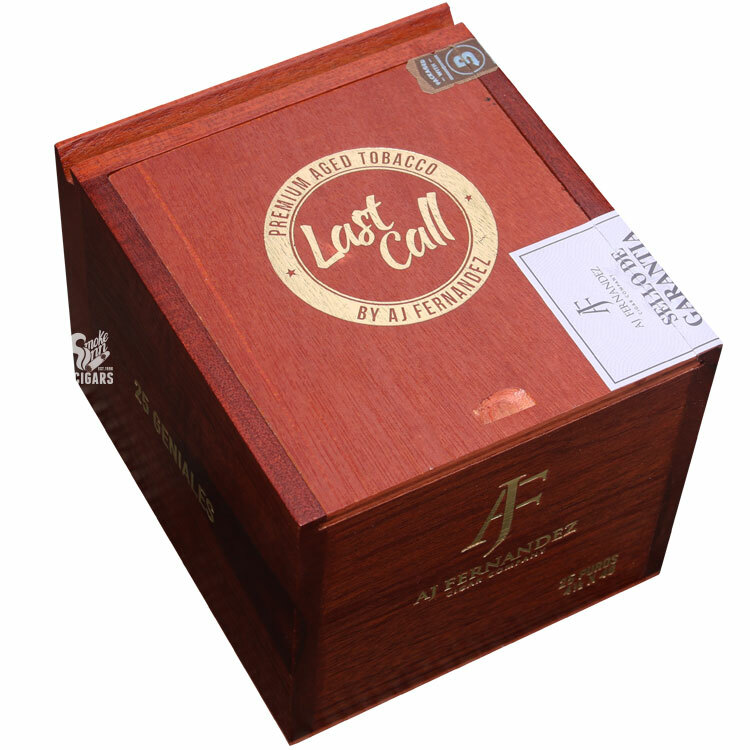 The appropriately-titled Last Call cigar by AJ Fernandez Cigar Co.
Last Call was originally smoked only by A.J. himself and close friends and family during the fourth quarter of football games. Their short (4.5 x 48) rothschild size paired perfectly with the cigar’s primarily-Nicaraguan blend - offering a blast of flavor that could fully entertain those tastebuds up until the night’s final hour. Because, short 'n sweet is often just what the Dr. ordered! The line has now expanded, but still retains the same spirit, showcasing small-sized smokes with premium flavors. The profile very balanced, bringing a punchy spice to start - eventually rounding out to pleasant notes of sweet coffee, caramel, cedar, and cabinet spices.